InTouch is a professional blogger template, specifically created for magazine style blogger sites. 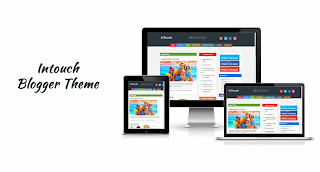 It will work perfect for them who need a responsive style template and a auto resizable theme. You won't need to add any extra features in this theme. It already comes loaded with lot of features and widgets in it.